If you haven't read them, do it. I read If I Stay last November and it amazed me. Ever since, my new answer to the question: Which book do you wish you wrote? If I Stay, without any hesitation. Last week the sequel Where She Went was released. After reading it, I am emotionally devastated. Other books have touched me and left me thinking about them long after I closed the cover, but I can’t remember another book leaving me totally wasted. I can barely function—no joke. And, Adam has ruined me for all other fictional boys. Even mine. Gayle Foreman is a master at creating characters that are so real you can't help but sink into their world. Not that long ago, I did a post on stakes in YA. This book proves to me that the stakes don't have to be the annihilation of the world for a story to matter. All that is at stake (for the most part) is a relationship. But it's a relationship that the reader cares deeply about. So, my question of the day: What is the last book you read that has left you emotionally devastated? He looks genuinely concerned for a heartbeat; then his face clears. “We’ll see about that.” His smile is back, and all kinds of wicked ideas flash behind his eyes. Wow Lisa! I totally agree with you. 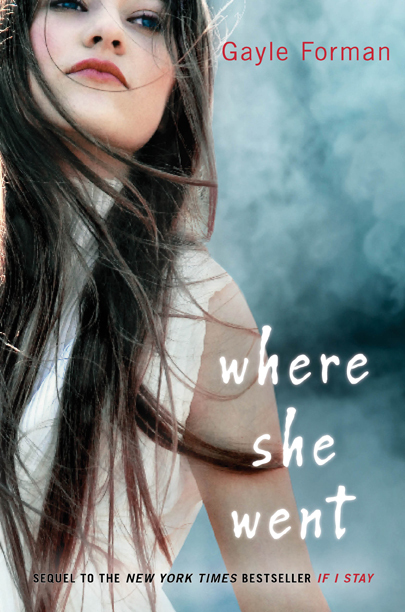 I was fortunate enough to win an ARC of Where She Went and it is not my favorite book of all time. Just reading what you have to say about it brings all those feelings back up in me. And Adam is by far the most important character I have ever read. I still find myself thinking about him often. Thanks for sharing, and I'm so happy to hear it touch another person as much as me. 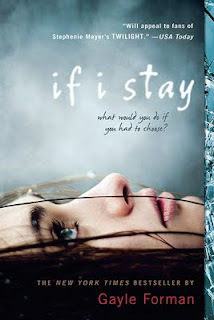 I love If I Stay too, and I'm reading Where She Went right now, it's awesome. It brings so much feelings up while you're reading it. thanks for teaser!! Can't wait for it to come!! If I Stay crushed me emotionally. I was a wreck after reading it and I am trying to find the strength to read Where She Went. I think I might have to wait until after I have finished my exams! Mockingjay was the last book I read that left me emotionally exhausted. I cried the entire time and sent my friend, who had recommended the series to me, a very nasty text. Forever by Maggie Stiefvater comes out in July and I have a feeling it will finish me off. But I can't wait! Beyond a doubt If I Stay left me emotionally devastated in every way possible. It was brilliant. Where She Went was a different kind of emotional rollercoaster; my heart was shredded, but I still loved every moment. Okay, wow, that was some wicked, little teaser...emotionally devistated, you say...WITHER. That book made me think for weeks and that's always a good thing. I solemnly swear that I will get to If I Stay/Where She Went sooner rather than later.